My time spent with a major EHR vendor was to educate members of the healthcare community (physicians, nurses, practice leaders, hospital administrators, etc.) and the general public (patients, consumers, people like you and me) about the benefit of electronic health records and how to navigate the EHR implementation process. As you can figure, most of the talking points included operational efficiencies of the systems, how practices could improve their practices and save money without paper, how they could create the opportunities for bringing in more patients by using EHRs, and so on and so forth. What is rarely talked about by the vendor community (and given my former seat at the messaging table, I think I’m qualified to make this statement) is the inherent challenges faced when implementing an electronic health record system. Training: You need training of your system. You need more than eight hours. You need more than 16 hours. Implementing an EHR is a major undertaking and it can take months, if not longer than a year, to truly implement. Even after that, you may need additional training. Don’t make the mistake of contracting for the least amount of training offered by your vendor. Don’t be fooled into thinking less training means you’re saving money. The money you save on training now will be spent later when your staff fails to truly understand how to use the system. Purchase more than enough training and consider training super users who become true experts in the use of the electronic health record. You must make sure you secure internal buy in. You need to establish an education program for your staff and create communication channels for your staff so that you can ensure the greatest level of buy in. during this process, explain the needs for the system and why the practice is moving in this direction. If this is a re-boot for your practice and you’re implementing a second or third system, discuss the reasons for the change and why it’s important to the health of the business. Like employees, you must educate patients. The importance of this statement has never been as true as it is now especially give the move toward patient engagement through meaningful use Stage 2. 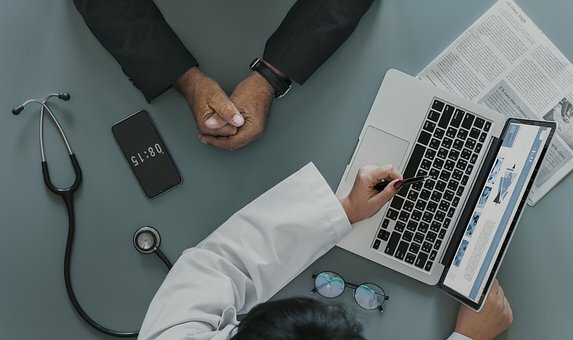 Engaging patients in the EHR implementation will help create external advocates for your practice, as well as will lead you down the road toward educating them about the benefits of tools like patient portals. Education is key here. Work to create patient champions. Do not brush them off as individuals who are either not interested in the technology or as unsophisticated enough to understand the scope of your work. Doing so may lead to an epic fail of your long-term plans for a unified, smooth running, meaningful used practice. Lack of a pre-implementation plan may kill the project from the start. An implementation plan means you’ll be able to perform a workflow analysis. Workflow analysis reveals practice inefficiencies and provide you insight into where you need to focus your efforts during implementation efforts. An implementation plan allows you to redesign processes, look for ways to create additional practice efficiency, increase patient and staff satisfaction, and align your goals with your long-term practice plans. Lack of vendor transparency. Those who don’t seek it may find themselves owned by their vendor partners. You must ask questions, demand answers and don’t take their word for it. Vendors want long-term contracts that are sometimes as gray as possible. Review the contracts, never treat vendors as your friend (or, at least during the negotiation process) and ensure the best deal for your practice. Seek optimizations and customizations. Ask for referrals; call the referrals. Go on site visits, but make sure they’re not all hand picked by the vendor. To accomplish goal, consider reaching out on the web and aligning with practices in your area that use the system you’re thinking of purchasing. Do some independent research. Un-needed long-term vendor contracts. Don’t sign long-term contracts unless it makes absolute sense. Some vendors require contract lengths in unreasonable lengths of time, like seven years. Granted, implementation is a major undertaking, but a seven-year contract is unnecessary and only serves the vendor. Be cautious of a deal of this magnitude. You wouldn’t sign a seven-year lease for a car, a property or anything else. Take a vendor move like this as a sign the vendor has plans to lock you for its own personal gains – to make itself attractive to potential buyers or to boost quarterly reports – not your own. In taking a look around the HealthIT.gov site recently, I once again stumbled upon its series dedicated to offering practices insight into how to implement an EHR. A several part series, topics included cover what to look for when selecting a product, how to conduct training and, ultimately, how to reach meaningful use. Given that nearly 50 percent of all practices currently have some sort of EHR, the process for setting up and implementing the systems are becoming more well known; however, having a clear plan and getting a little advice goes a long way. So, without further ado, the following information is valuable and bears repeating, at least in part, even if you heard some of it before. When starting an EHR implementation, a practice should assess its wants and needs. Keep in mind that no implementation is going to go completely smoothly (or at least as smoothly as imagined) so it helps to have a plan for what to expect and the plan should include room for error. Figure 10 to 15 percent in added time, resources and staff commitment over and above what you originally plan. During the assessment, there will be some error and a few hurdles to jump. Don’t allow yourself to be told otherwise. If someone tries to tell you differently, that person does not have your best interest in mind. If it’s a vendor, run. Do not purchase the product from the company because it’s only the beginning of what’s likely to be a long road of misinformation and false expectations. And no one appreciates being snowed, especially when you’re spending money on something. During the assessment phase, you also need to determine if you are even ready to implement a system, and if not, what more you need to accomplish. Assessments are designed to answer the “why” of implementing an EHR, and what is working and can be improved by installing one. Are administrative processes organized, efficient and well documented? Are clinical workflows efficient, clearly mapped out and understood by all staff? Are data collection and reporting processes well established and documented? Are staff members computer literate and comfortable with information technology? Does the practice have access to high-speed Internet connectivity? Does the practice have access to the financial capital required to purchase new or additional hardware? Are there clinical priorities or needs that should be addressed? Does the practice have specialty specific requirements? Next up, it’s time to envision the future. Think about what you want to accomplish with an EHR, and write as part of your plan some things like: how are patients going to benefit, how can the care provided be better and how are providers’ lives going to change? Goals guide an EHR implementation, and are set once an assessment has been completed. As in life, goals provide an achievable end to an arduous task; the medal at the end of the race, if you will. Keep the goals more process oriented and related to practice strategy and team building. For example, what goal do you have for the transition team? Do leaders emerge? Do advocates and coaches come to the forefront of the team that you had not expected? What practice visions are realized? Are you now more technologically savvy and able to attract better talent to the organization? Perhaps you have business goals (other than the aforementioned money goals). Do you have a stronger business-planning process and clearer organization objectives now?